Rubin is a seasoned professional with over 20 years of experience in the CRM (constituent relationship management) space, and over ten years in the nonprofit sector. Throughout his career, Rubin has pursued his passion for social impact through empowering and enabling nonprofits through a variety of roles in technology, strategy and organizational management. As a Senior Solution Manager at Merkle, Rubin managed the database needs for large direct mail programs with Susan G. Komen and the AARP Foundation. As the Director of NGO Solutions at roundCorner (a Salesforce Platinum ISV Partner), Rubin oversaw all implementations of NGO Connect (a fundraising and CRM solution for nonprofits built on the Salesforce platform). Rubin has directly consulted for or managed teams of consultants for some of the most impactful organizations in the country, such as ACLU, Planned Parenthood, Charity Water, ChildFund, The Salvation Army, Boys & Girls Club of America, Feeding America, The International Rescue Committee and CARE. At roundCorner, Rubin’s role extended beyond technology, leveraging his years of consulting experience to provide nonprofits thought leadership in areas such as business strategy, fundraising strategy, change management, and governance. Rubin concluded his tenure at roundCorner as Vice President of Digital Transformation, launching a strategic services practice to guide nonprofits on leveraging cutting-edge technologies (cloud, big data, mobile, blockchain, AI, etc.) while keeping their mission, vision, and beneficiary in mind. Rubin brings a unique experience to the table. While professionally, Rubin is a consultant in the nonprofit space, he spends most of his free-time volunteering with nonprofit organizations he is passionate about - from civil rights to food security. His volunteer work ranges from coaching youth soccer, to pro-bono strategy work, to serving on the board of directors for local nonprofits. His experience of engaging with donors, making direct fundraising asks, and participating in all aspects of operations gives him a deep appreciation for the work nonprofits do and the challenges they face. It is because of this experience Rubin started OneTenth Consulting. 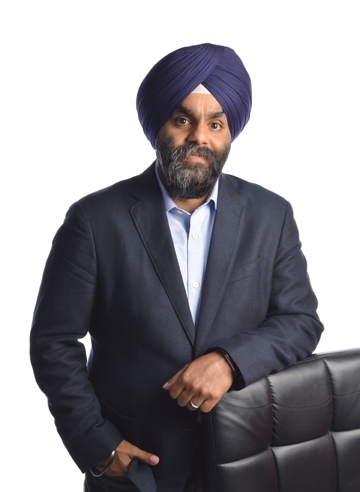 Follow Rubin Singh on Twitter and LinkedIn!